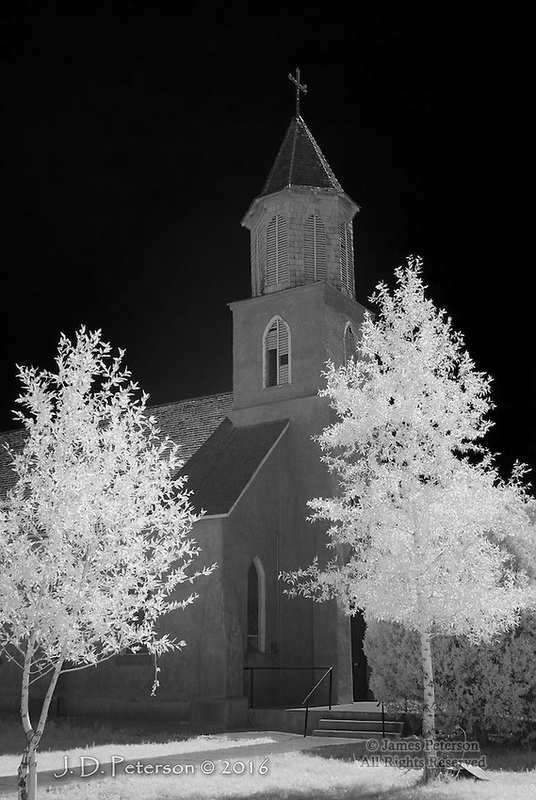 Most Precious Blood Catholic Church, San Luis, Colorado (Infrared) ©2016 James D Peterson. Built in 1886, this solemn structure is embodies the essence of southern Colorado. This area was originally colonized by Spanish settlers migrating up through New Mexico, and it has never lost that Spanish charm.